Bruichladdich fans are in for a rare treat (pun intended) this week, as chief engineer Dave Broom tastes not one but four of the Islay distillery’s whiskies, supplementing this Laddie-fest with a lesser-spotted new Fettercairn, and a not-so-lesser-spotted fresh offering (yes, another one) from Highland Park. 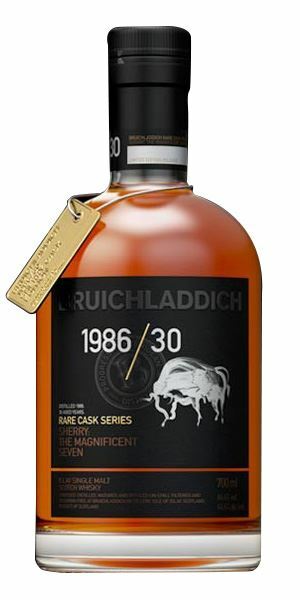 It turns out to be a front-loaded week of whiskies, with the highest quality and top marks reserved for Bruichladdich’s new Rare Cask Series – a trio of single malts dating from the mid-1980s and with a combined age of 94 years. These rare beasts take Broom into a darkened old bodega and a sauna, providing flavours variously reminiscent of sun tan oil and crème brûlée. It’s fair to say that he finds them mighty, and mightily impressive (although by no means cheap). 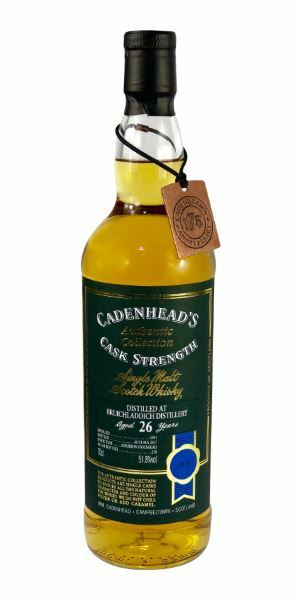 We should probably move swiftly on from the second Cadenhead offering of the week, a 24-year-old Fettercairn, which pulls off the unlikely flavour combination of burnt cereal and lemon verbena. Yum. 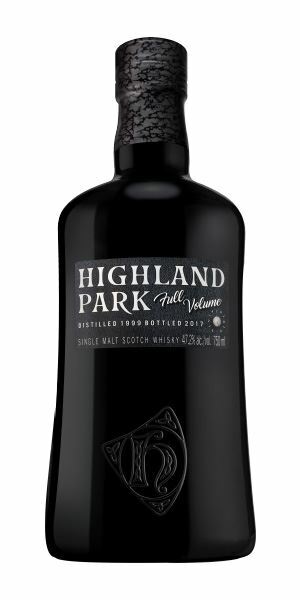 And we close with Highland Park Full Volume, the music production-influenced new single malt from the Orkney distillery and the latest in a lengthy line of fresh editions. Bourbon cask maturation makes it gentle and rounded, but is it classic HP? Sweet/sour dried tangerine notes to start with. Hugely aromatic, with a pine resin element that reminds you of walking into a sauna. There’s a gentle baked fruit element, with the distillery’s signature honey and soft fruits appearing quite early and therefore acting as a counterpoint to the fresh pine needle, almost juniper-like elements. As it develops, so you get mint toffee and, with water, a surprising touch of liquorice. The citrus is now a major contributor, with some orange jelly/Haribo, then New York passion fruit cheesecake and a hint of fresh, hot sawdust. A soft, sweet start which is all thick butter and honey on white bread, given balance by charred wood notes, bitter chocolate studded with salt crystals and some spice. It just keeps on softening as it moves through the mouth, with more runny toffee, apricot, guava and mature cigar box elements. Water amplifies previously hidden spiciness, with cinnamon to the fore. Blackcurrant (Ribena, almost) then apricot, then some oak. From a batch casked on 31 December 1984. Rounded, relaxed and beautifully balanced. Freshly baked cinnamon buns in a Scandi bakery. A hygge malt. Thick and concentrated red fruits, with more red cherry and raspberry rather than the soft orchard/tropical notes seen on the 1984. There’s also more cask here, adding rich, Bourbonesque lactones reminiscent of suntan oil, with added dried mint, a hint of jasmine, dusty rose, stewing citrus fruits, banana and quince jam. Quite heavy, but in a satisfying way. With water, it’s full-on crème brûlée with nutty, praline-like elements developing. Big (none of these are what you might call shy), with citric elements, then those red fruits appear, before the mid-palate sinks into a chewy, butterscotch/honey element, giving ripe central solidity. It’s almost reluctant to move. That said, there is more oak in evidence here, which becomes more apparent with water, which also pulls out redcurrant jelly, caramelised cherries, sandalwood oil and twinges of astringency. Decent balance between the sweet and sour. The slight pink hue shows there’s some wine involved in its maturation, which started in refill until 2012, when it was re-racked into fresh Bourbon, before being finished for a short time in French red wine casks. The triple oak does add a firmness, but it’s quite a ride. Memories of an old summer love affair. Full, Sherried and highly exotic, this immerses you in a Gothic world of balsamic resins, dried fruits and dried plum, alongside a heady, complex array of curry leaf, fenugreek leaf, mustard seed and turmeric. It deepens further with time, adding meaty, leathery edges and a slightly smoked element, before lifting gently towards dried rose petal and wet moss. When fully developed, you’ve entered a darkened old bodega. Real depth, huge aromatics and quite extraordinary. 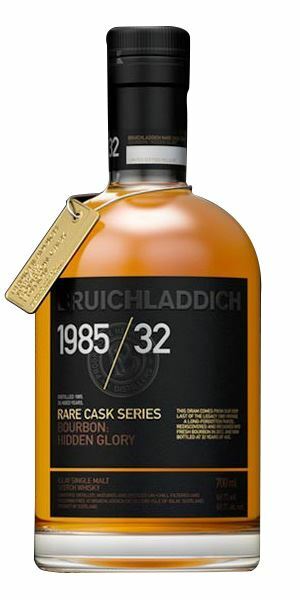 Although amazingly sweet, it is still balanced, with concentrated fruits, spiced peach, some clove and a honeyed quality that shows it is Bruichladdich. There’s smoky dark fruits, then some cracked pepper. The tannins are amazingly supple. As it moves towards the finish, you pick out raisin, fig, sugared espresso and a continuing, fascinating exchange between sweet and sour before finally a surprising lift of pineapple-accented fresh fruit. Long, with some currant, dried black fruits and goji berries. Complex. Maki Asakawa’s voice leans out across a smoky club, dragging you ever onwards. 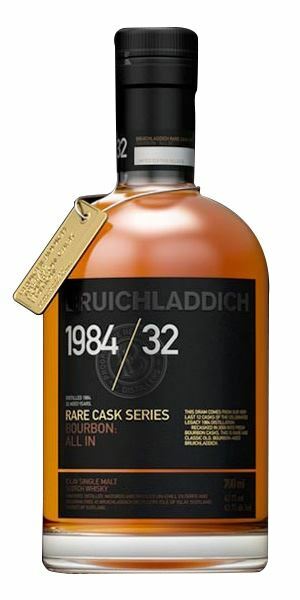 Light and slightly distant, with a fair amount of nose burn suggesting that the cask has been the junior partner in this 26-year relationship. That said, there’s some whipped butter elements, some sweet grass and a light touch of char. With water, the effect is like flat Lucozade, with light apricot, some anise and carrot tops. Much more expressive, albeit still fine-boned. There’s a fresh, acidic drive at work here, with added bergamot, lemon and green fruit. The grassiness has moved to hay. Loses the central energy with water, though there is just a tiny swirl of sweet fruits. Dries before a final jag of lemon. There’s nothing wrong here, but it could have done with just a little more to fill out the mid-palate. A desert diner. The middle-aged couple look at each other blankly, years of conversation finally ended. A slightly odd (and hard to achieve) mix of burnt cereal and lemon verbena kicks things off. This mix of the scented and the nutty is then given an extra hint of soapiness (hops), some nose burn and finally an oily/greasy element like an oxidised old Riesling. Water brings out more lemon-like soapiness that brings to mind Trumper's GFT cologne. Some sweet cereal at the start, with lots of golden syrup and Sugar Puffs, gives considerable levels of hope, but the spirit is thin and, in time, the old sesame oil element comes forward. Water makes it bitter. Distinctly odd and ultimately unbalanced. Teetering on the brink, with every hint of hope ultimately betrayed. Maybe this is just a liquid manifestation of the human condition. Take it away, Richard and Linda Thompson. Has the welcoming warmth of a bakery in the morning: all brioche, croissants and yeasty, freshly-baked bread. The feeling is one of fluffy gentleness. There’s a little green grassiness, vanilla, then pear and kumquat and – I kid you not – buttery mashed potato. Water brings out smoke and some fruity, estery elements, but everything becomes slightly fleeting. Front palate-loaded and soft start, with creaminess and vanilla/almond syrup. It remains light and scented, with ash-like qualities in the middle, but as on the nose there’s this flickering quality, like watching a film with frames missing. As on the nose, water brings out more smoke and delicate nuttiness. Ageing in ex-Bourbon casks rather than the standard ex-Sherry has given this more rounded, gentle element, but is it Highland Park? 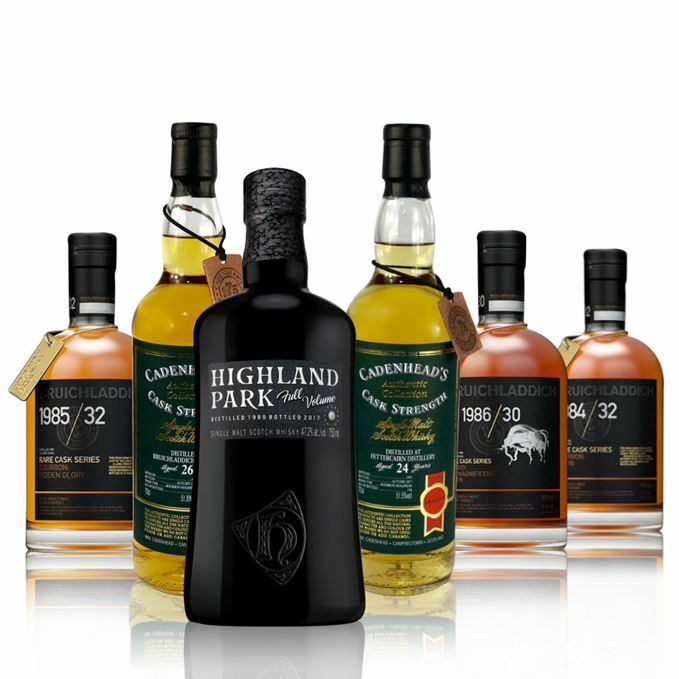 I must confess that, with all of these new releases, I’m beginning to wonder what Highland Park is. A school band playing QOTSA covers on small amps. 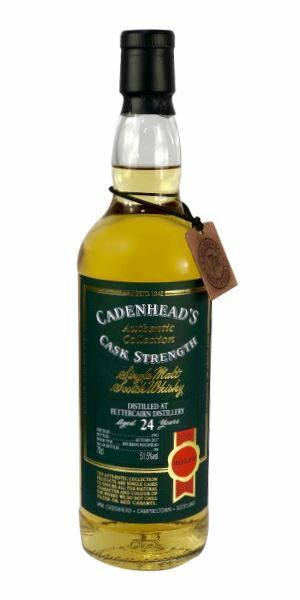 Batch 124 24/11/2017 A mixed bag including Ballantines’ trio of single malts, The Gauldrons and two from Wemyss.